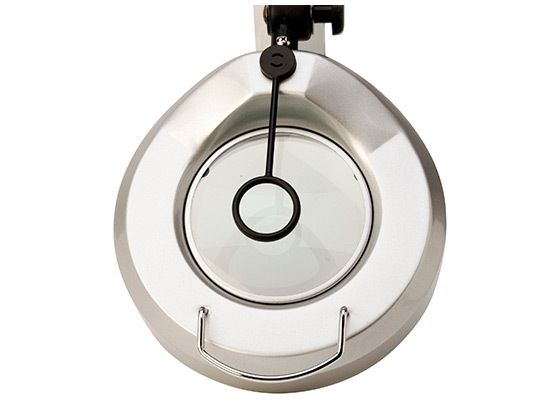 Overview : Swing Away 5 diopter (2.25x) lens that can be attached to any of our magnifying lamps. Has adhesive backing. Excellent for that extra magnification when required. Swing Away 5 diopter (2.25x) auxiliary lens that can be attached to any of our magnifying lamps. Has adhesive backing. Excellent for that extra magnification when required.